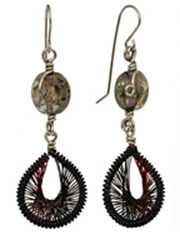 Based upon intricate thread earrings, originally from Peru and dating back to the 1960's .. 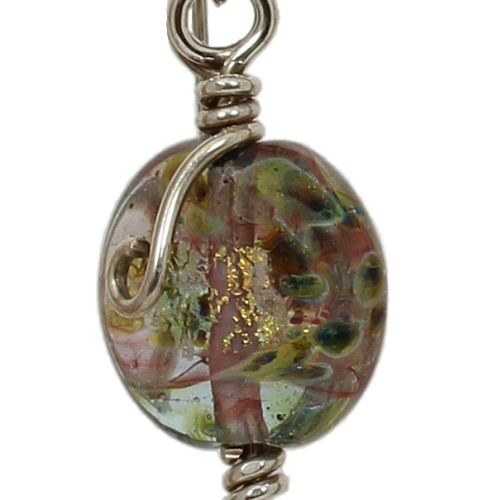 Coin beads measure 15 mm in diameter and are handmade lampworked boro (borosilicate) glass beads with dichroic color, by Unicorne Beads. 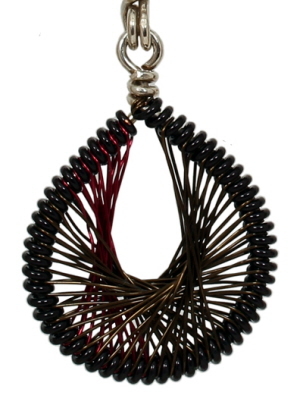 Shades of magenta , olive green and sparkly lime green can be seen in these coin shaped beads. 20 gauge black artistic wire and 28 gauge artistic wire in magenta and vintage bronze complete the threaded component. Argentium sterling wire in 18 gauge is also used. Earwire hand formed. 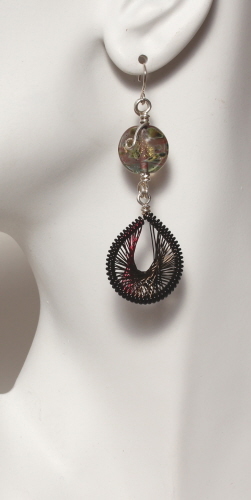 Earrings measure 3 inches from top of earwire to bottom of dangle.